Exiting and Returning to the U.S.
Be prepared when traveling outside of the U.S.
During or at the end of your program you may wish to travel outside of the U.S. Canada and Mexico are typically the most popular travel destinations outside of the U.S. 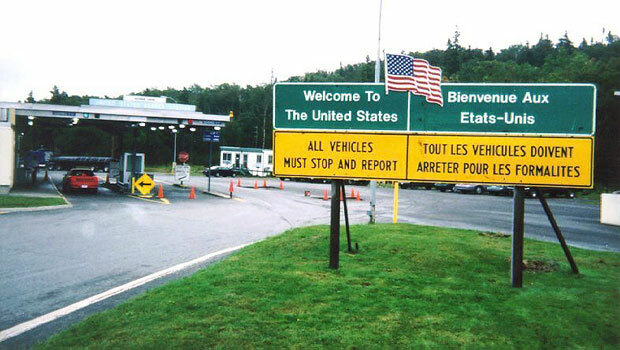 Most participants with multiple-entry visas to the United States may apply for tourist visas to travel to Canada or Mexico. Remember that you must have a multiple-entry visa if you want to leave the United States, and you must return to the United States before the expiration date on your J-1 Visa and DS-2019 Form, otherwise you will not be permitted back into the country to continue your program or catch your flight home. Note: Always contact the embassy by phone or visit their website for the most up-to-date information and visa requirements. You must also contact InterExchange at least three weeks in advance of your departure to have your DS-2019 Form signed by a responsible officer of InterExchange. This signature indicates that you are in good standing with the program. You will need to have your DS-2019 Form signed by a responsible officer of InterExchange in order to facilitate your re-admission to the United States after a visit to another country. A tourist visa to enter Canada may be obtained by applying in person at a Canadian Consulate or Embassy. Canadian Consulates are located in New York, NY; Buffalo, NY; Detroit, MI; Los Angeles, CA; Seattle, WA; and Washington, D.C. For phone numbers to the other Consulates, you may contact the Embassy in Washington, D.C., at 1.202.682.1740 or call information for the city in which you are interested. Additional documents may be required; visit the Embassy’s website or call them for more information. Please note: Canadian Border Control will not issue a visa if there are fewer than 30 days left before your J-1 Visa expiration date. Additionally, you will only be allowed to enter Canada and return to the U.S. before the expiration date listed on your J-1 Visa and DS-2019 Form. If you will be traveling to Mexico for tourism for up to six months and you have a valid U.S. Visa, it is not necessary to apply for a Mexican visa. You only need to fill out a migratory form that will be provided in the plane or port of entry. Please note: You will only be allowed to re-enter the United States before the expiration date listed on your J-1 Visa and DS-2019 Form, or the date indicated as your departure date on your I-94 print-out (remember that D/S means “Duration of Status,” which is 30 days after the last date written on your DS-2019 Form), whichever is earlier. Take your DS-2019 Form with you to Mexico. If you decide to travel to countries other than Canada and Mexico, you will need to contact each country’s Embassy to find out whether you need a tourist visa. You must also contact InterExchange in advance of your departure to have your DS-2019 Form signed by a responsible officer of InterExchange, indicating that you are in good standing on the program. The DS-2019 Form must be signed by InterExchange before you leave the U.S. for travel! Note: It is common for cruises to visit international destinations so check with the cruise line for an exact travel itinerary. During your program, you may need to contact your home country’s Consulate or Embassy. Please visit your Consulate or Embassy website or the Participant Resource Center for your program on the InterExchange website for the most up-to-date contact information.